Allianz Park is home to the English professional rugby union team Saracens. The team’s sports stadium hosts a range of events on the 349 days of the year when rugby isn’t played. 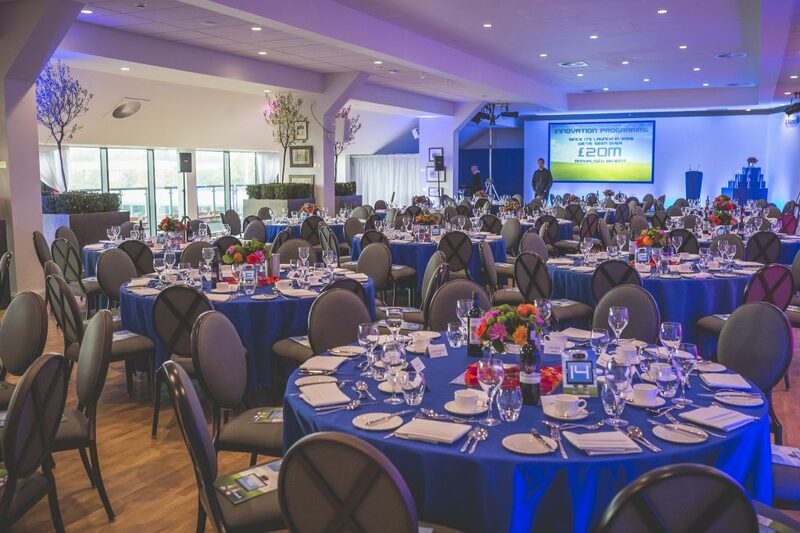 From a meeting welcoming up to ten delegates to a reception for 2,000 guests, there’s a function space at this sports stadium which is ideal for all of your 2019 event needs. When you want to combine a meeting or client catch-up with a game of rugby, the executive boxes are perfect for the occasion. They have impressive pitch side views and doors that open into the stadium. For presentations, the large plasma screens in the executive boxes are perfect. Suited to private dinners and smaller meetings, the executive boxes at Allianz Park are a unique twist to the usual boardroom style layout. Additionally, these spaces are certain to inspire delegates and get them thinking outside the box! 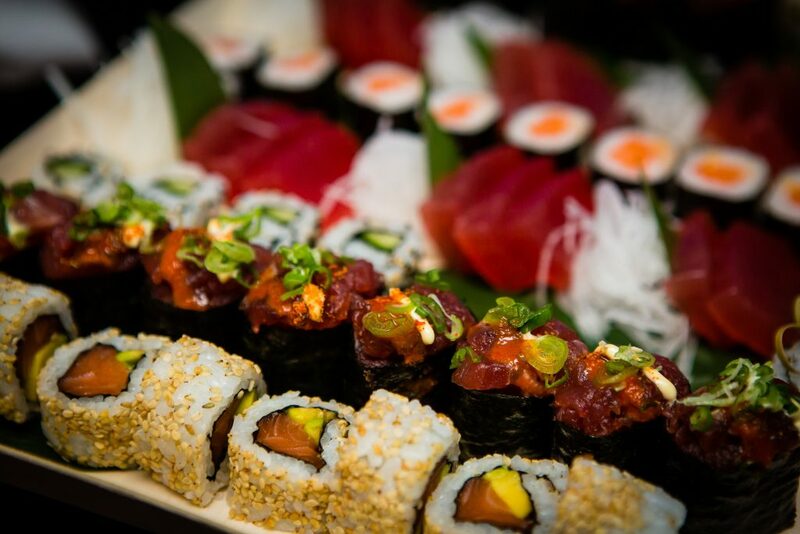 They can easily accommodate up to 40 delegates and with the addition of award-winning catering, it’s a win-win all round. The largest space at the Allianz Park is The Olympic Bar. It can accommodate up to 2,000 guests and is a popular choice for wedding receptions, parties and celebrations. Equally good to know is that this space can be hired for product launches and exhibitions. A unique and inspiring addition to the space is the 800 metre warm-up track which originates from London 2012. We think following in the footsteps of sporting legends Mo Farah, Jessica Ennis-Hill and Usain Bolt is certain to encourage delegates onto success. For a wedding or corporate conference for up to 1,500, The Allianz Suite is perfect! There’s even a private balcony overlooking the pitch along with views of the green space located around the venue. 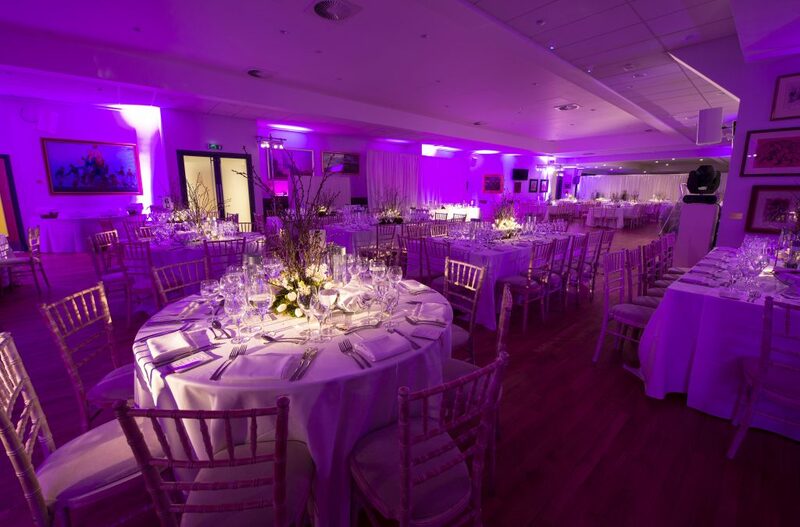 The Tulip Club at Allianz Park is located on the first floor and it can be combined with The Hundred Club or The Fez Club for increased capacity. With a blank canvas, event organisers have plenty of options for designing a winning event! Another inspiring space is the Hundred Club. This function room honours the elite sportsmen that have played over 100 games of rugby for Saracens. There’s even a wall adorned with drawings of the 100 Club members! The Fez Club boasts lots of natural daylight and views over the Allianz Park gardens, while the Players’ Lounge is of course, a room regularly frequented by rugby legends of today! In addition to all the indoor space, there are plenty of options for an outdoor event. 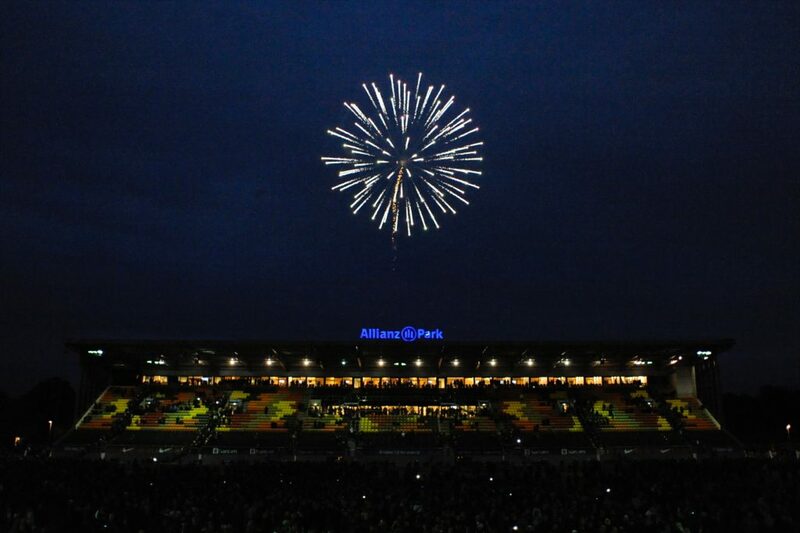 Allianz Park is set in a 26 acre greenfield site which means events such as family fun days, outdoor weddings, team-building and charity fundraisers are perfectly at home in the Saracens venue. And there’s a dedicated on-site event team to ensure your day runs smoothly from start to finish! 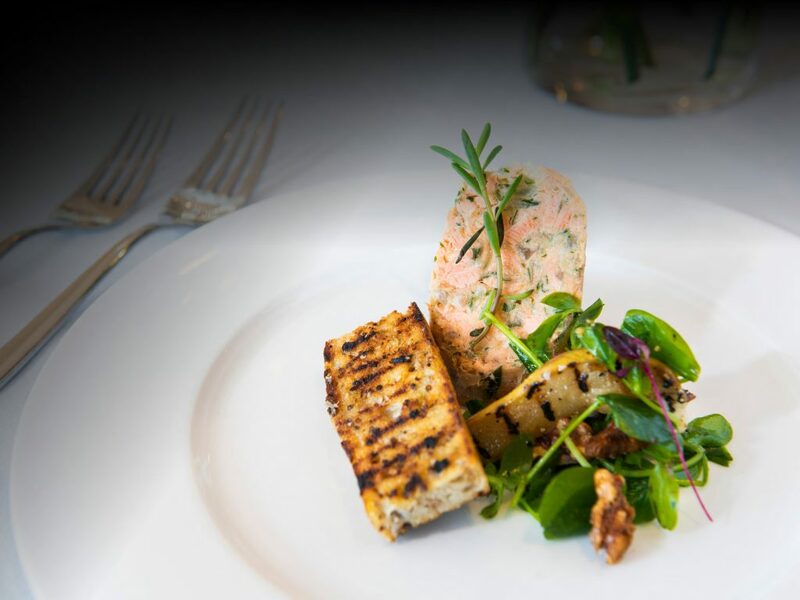 There’s plenty of options for delegate dining at Allianz Park. Pick sweet and savoury bowl food such as Crispy Hoi Sin Duck Salad, Roast Salmon Fillet and Wild Mushroom Risotto. For those with a sweet tooth, the Sticky Toffee Pudding, Summer Berry Pudding and Lemon Posset guarantee satisfaction! The catering team at Allianz Park provide hot and cold buffet menus too, serving a variety of meat, fish and vegetarian items. For a special occasion, there are tasty three and four course menus that are ideal for a celebration with fellow team members. In the summer, make the most of the BBQ menu and enjoy firm favourites like beef burgers and BBQ Cajun Chicken. Allianz Park is 20 minutes from Central London and is easily reached via car, bus, train or tube. If you are travelling by car, there are more than 800 free car parking spaces on-site. This is ideal if you need to host your next event in London but don’t want to pay the extra cost of parking or book event space located in the city centre! There are easy connections to overland rail at Mill Hill Broadway and Underground Station at Mill Hill East, Finchley Central and Hendon. Junction 2 of the M1 is barely 300 metres away and the M25 is just 12 minutes away. In addition, Brent Cross Shopping Centre is only a short seven minutes away for shopaholics! 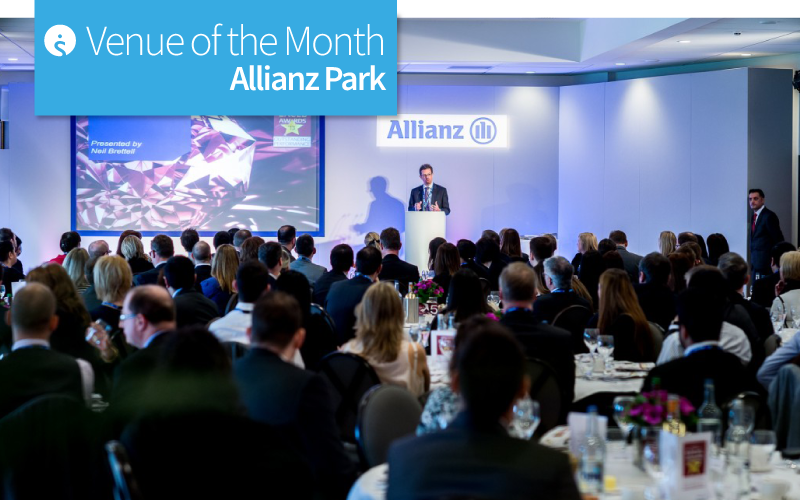 If Allianz Park sounds like the perfect place to tackle your next corporate event then get in touch today. Our team are available from Monday to Friday, 8:30am until 5:30pm on 01775 843411. Next Post:Mix, Muse & Mingle in Manchester this Summer!